We would like to thank our friends at Weissman, Nowack, Curry & Wilco Attorneys at Law for providing us with this interesting topic & blog post! Please feel free to visit their website http://www.wncwlaw.com/ for more info. (1) Contract Scope. 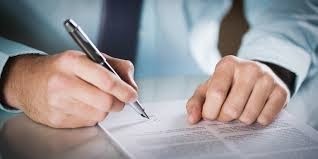 As with any contract, it is of utmost importance that the contract spell out, as specifically as possible, the parties’ understanding of what the contract covers. 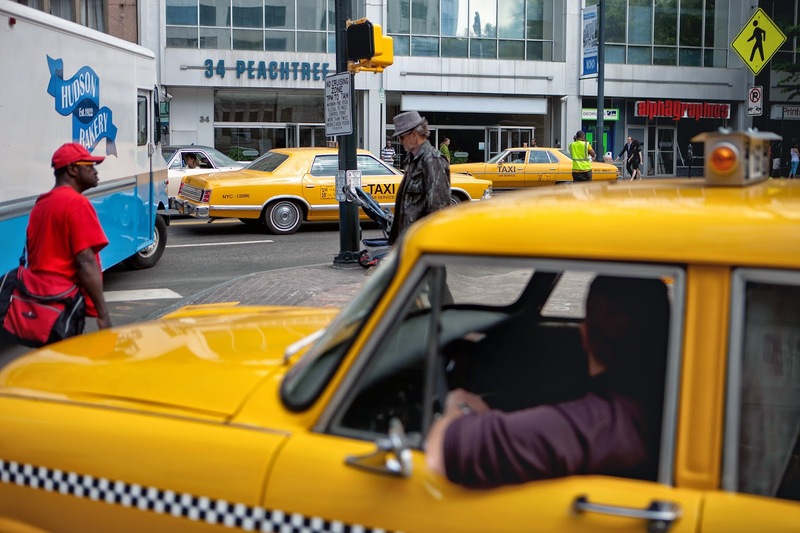 With a film contract, this will most likely be the time period during which the film crew will be on your association’s property and the areas of the condominium or community that will be used. In order to limit disturbance to community residents, the Board may wish to consider limiting the filming period to a certain hours of the day, and prohibit filming in certain areas of the community. (2) Contract Authority. Film producers may not understand that in a community association context, the association only has such authority to grant use and filming rights to the property located within the association as it is given by its governing documents. For example, while an association may have the right under its governing documents to allow a film crew to film the common areas, it likely does not have the right to allow a film crew to film inside individual units or on the individually owned lots in a subdivision. So, the association should make sure that the contract does not obligate the association to grant the producer rights to use property that the association does not have the right to grant under its governing documents. (3) Compensation. 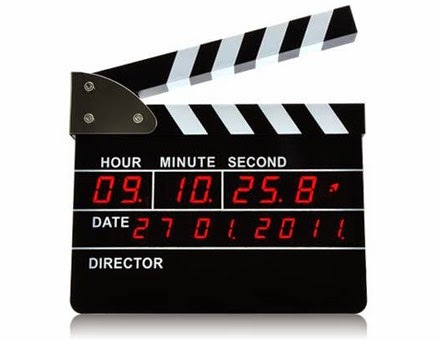 While the amount of compensation to accept for filming is a business judgment decision for the Board of Directors, it is a good idea to take into consideration in determining compensation any additional costs the association will bear as a result of the contract, including fees for attorney review of the contract. (4) Insurance. The contract should require that the production company with whom the association is contracting carry adequate general liability insurance in case any accidents occur as a result of the producer’s use of the association property. Your association attorney can advise as to adequate level of insurance. (5) Indemnity. The production company should agree to indemnify the association for all damages and claims that are caused as a result of the production company and the company’s use of the association property. (6) Damages. The contract should contain a provision requiring that once filming is completed, the production company restore all association property to the same condition it existed prior to filming and compensate the association for any property damaged as a result of the production company’s use. The above are just a few contract tips to keep in mind when negotiating a contract for your association’s star turn. However, the tips in this blog do not take the place of an attorney’s review and do not cover all recommended contract provisions. Community managers and boards should seek assistance from the association’s legal counsel prior to entering into contracts to ensure that the association is adequately protected. Rebecca Drube advises condominium and homeowner association boards of directors. She counsels community associations when transitioning from developer to owner control and regarding day-to-day legal issues, such as review of contracts and drafting and amending their legal documents. Rebecca also helps association board members understand their roles as they relate to such responsibilities as covenant violations, major or repair contracts, and government compliance. In addition, Rebecca handles representation of community associations in litigation matters. Rebecca is a member of the State Bar of Georgia and the State Bar of Florida. She is also a member of the Community Associations Institute of Georgia. She regularly authors articles for community association-related publications. There are different levels of restrictions that can be placed on how you can use real estate. These fall in to four broad categories: Zoning, Codes/Licensing, Covenants and Environmental Law. The hierarchy and interweave of these are challenging even for us who normally navigate real estate. For the layperson, these regulations can be beyond frustrating. To illustrate how each of these layers of regulation comes in to play, we’ll consider the example of the placement of a dog kennel behind a homeowner’s house. Zoning is the most familiar requirement. Created by the city or county, it groups property usage to minimize conflict and nuisance issues, to control and promote growth, and to obtain the best use of each plot of land. Sometimes zoning will come in multiple layers over the same area. For example, a home inside an historical overlay district is more limited to changing the exterior, although basic zoning doesn’t address this. In our dog kennel example, a residential home would be barred from an area zoned for office buildings. 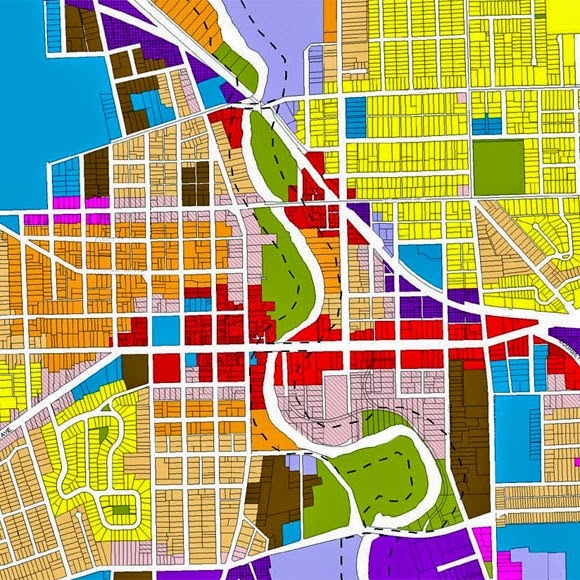 Even within residential zones, there are zones for different sizes of land and minimum square footage requirements. Attempting to place a dog kennel in a high-density residential zone (such as townhomes) would be difficult: Our homeowner will be looking for a community with large lots. The next consideration is building code compliance and licensing - both provided by the local government. Assuming that the homeowner can meet the requirements to obtain a business license, his kennel will need to comply with building requirements. For example, a city may prohibit the use of chain link fencing for any use on any piece of land. Once past the local government level requirements, the homeowner has to consider what land use restrictions were put in place by agreements between past landowners. These agreements fall under contract law, and are handled differently from government-imposed regulations. When a person purchases a piece of land, he automatically enters into this contract. Homeowners rarely research restrictions recorded at the courthouse. For land lying with a homeowners association, it is not unusual to see a prohibition on businesses that increase vehicular traffic. Various noise and nuisance regulations are also the norm. Attempting to establish a kennel in this situation would be a violation of the terms of the land contract, with either by the Association or a next door neighbor resorting to litigation. Zoning regulations cannot eliminate land covenants, nor can a municipal agent impose land use contract terms on a piece of property. However, if the courts determine that a particular covenant is vague or violates public policy, it could be voided. This happened in the case of Providence Construction Company v Bauer, where a condition was made that the homeowner could not oppose any future rezoning by the developer. This was a violation of the owner’s constitutional rights to oppose government action (zoning). Finally, at the federal government level, the growing impact of environmental regulations must be considered. Environmental concerns extend beyond issues like trash burning and flood controls, to areas such as maintaining aesthetics by limiting tree removal or restricting types of plants installed. For our pet kennel example, animal waste is a known groundwater contaminant. Establishing a proper way of cleaning the animal pens raises a real challenge. If the land lies near a creek or other waterway, providing a satisfactory cleaning system may be cost prohibitive. Our increasing regulatory environment presents challenges to understanding your property rights. To guard against unwelcome surprises, be sure to enlist the aid of experts such as title companies and real estate attorneys to identify how all four of the above factors will come in to play in your specific situation. Unquestionably, a requirement in today’s world - insurance - can be so complex that it often leaves us with many questions. This is the fifth (and final) of several insurance blogs to address various vital components of your community’s health. Please scroll down to read the previous four insurance-related posts for more details. With insurance contracts, the devil is in the details. It is the little unexpected items that may trip you. For example, what happens if the vendor you are working with files bankruptcy? In one instance the insurance company did not have to pay on a claim, because the contractor was unable to meet the deductible or self-insured-retention (SIR) requirements. To avoid this, you should require disclosure and approval of deductibles or SIRs and discuss them with your insurance agent and/or attorney. Another “unexpected” can happen when dealing with a claim that arises a couple of years after a project is finished. Very often, the vendor’s insurance is only triggered when claims are made, not when the actual problem actually occurred. A “claims-made” coverage will only respond to a claim that is presented while the policy is in force or during an extended reporting provision. Because of this, it is critically important that the Homeowners Association insist on an extended reporting period (known as a “tail” since it covers your tail) of several years as a part of the insurance coverage. Keep in mind the regular liability policy will not cover professional liability losses, and therefore your contractor may be exposed in the event of a claim arising out of professional services rendered on the project. Normally, professional liability policies can be purchased with a three year “tail”. Regular liability policies may permit a five year “tail”. If you can get a longer tail in your contract, do so. Another exception can occur when it comes to coverage for water damage. Check to make sure coverage won’t be denied if flooding occurs when a sump pump fails due to loss of electricity – the policy may need an endorsement to cover this situation. Trying to plan for every contingency can be nerve-wracking: What do you think of when you are considering electronic data insurance coverage? In our electronic age, the risk is only growing for losses related to integrated systems with a building’s elevator, lighting, heating, ventilation, HVAC and security systems. The dollar amount for coverage may need to be increased to account for this. 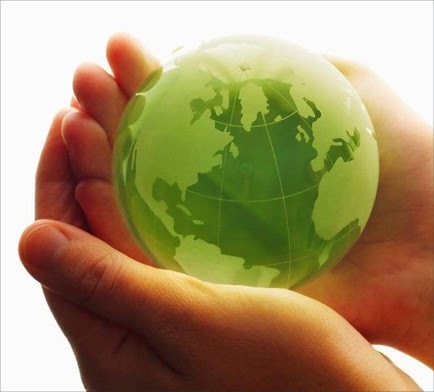 The “green” movement has created situations not normally covered with standard insurance. 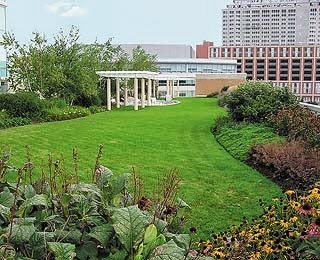 The trend of having vegetated roofs may introduce an exception under “Property Not Covered” for lawns, trees, shrubs and plants that are part of a roof – such property is an insured part of a building. The vegetation may not be covered for loss by dampness or dryness of atmosphere or soil, changes in or extremes in temperature, disease, frost, hail, rain, snow, ice or sleet. The “Additional Coverage” for mold does not apply to vegetated roofs. As you can see from this and previous blogs, providing the greatest amount of protection requires that Boards of Directors rely upon the advisement of several outside experts (attorney, insurance broker, community manager, CPA, engineer, etc.) in making the best decisions possible for their community. Unquestionably, a requirement in today’s world - insurance - can be so complex that it often leaves us with many questions. This is the fourth of several insurance blogs to address various vital components of your community’s health. 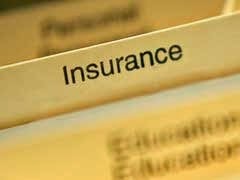 Please scroll down to read the previous three insurance-related posts for more details. One of the fears an Association faces is whether or not a contractor will cancel his policy the day after presenting proof of insurance to the Association. While in the past it was easy to require the insurance company to notify the Association about a cancellation, some insurers are now refusing to provide notice. To address this, if a contract involves a risk so substantial that cancellation or coverage reduction is heightened, a project-specific policy with the Association listed as an “additional insured” may be considered - although this is an added expense. You should require the contractor to obtain a Performance and Payment Bond with penalties equal to 100% of the contract price. When an incident does occur that requires you to tap into insurance or a bond, it is very important that the reporting requirements are met. It is customary for many of us to report such claims to our insurance agent, and we depend on that agent to pass along the information to the insurer. While convenient, this practice does not technically fulfill the notification requirement and can be used as a reason to deny coverage. 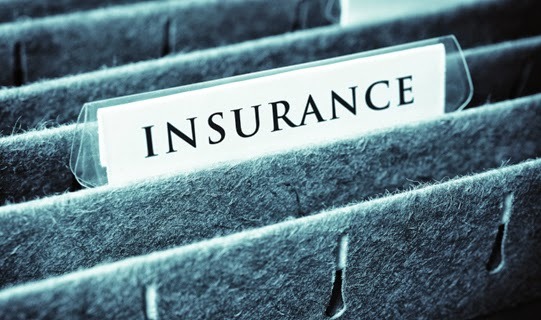 Typically, all insurance policies contain a "Notice" section that clearly addresses the correct and proper way to notify the insurance company about a claim or potential claim.The safest practice is to report the event directly to the insurer or bond holder, with secondary notification to your agent. Written notification is best, and if you provide a verbal notification, be sure to document afterward, including things such as the date and person spoken to. Follow this up with a formal letter as soon as possible. And its always a good idea to report anything that could potentially develop into a claim - waiting until a later date, in some cases, can also be grounds for a denial of coverage. Preventing loss of insurance coverage is so important that many require a clause in the vendor contract, stating that maintaining proper insurance coverage is a material element of the contract, and that failure to maintain or renew coverage or to provide evidence of renewal may be treated by the Association as a material breach of contract. For large, ongoing projects you may want to include a provision allowing the Association to withhold payment, so that it can purchase insurance on behalf of the contractor to replace expired coverage. Bottom line - Insurance is important stuff!